Another fabulous day in New York City. So much to do and see…wads of cash not needed. 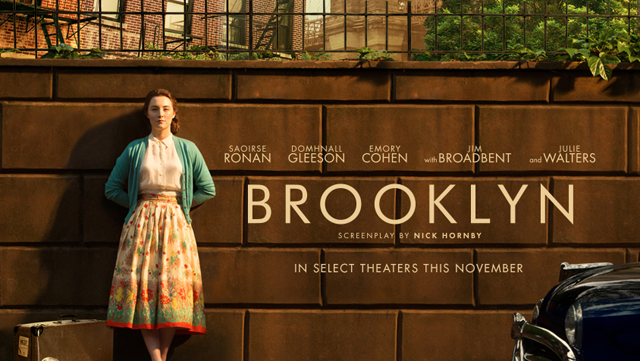 Up and out for the 9am showing of, Brooklyn, a charming, touching film starring the gifted Saoirse Ronan and an impressive cast including, Emory Cohen, Jim Broadbent and the hysterical Julie Walters. The movie takes place in 1952 and tells the story of a young Irish woman’s immigration to Brooklyn, her initial solitude, employment and eventual romance. This is not a chick flick. Brooklyn highlights the dilemma that we all face between the pull of home, new life experiences and affairs of the heart. We dashed home to change for an Off Broadway matinee. We hightailed it down to 50th Street and during the journey I channeled my grandparents. 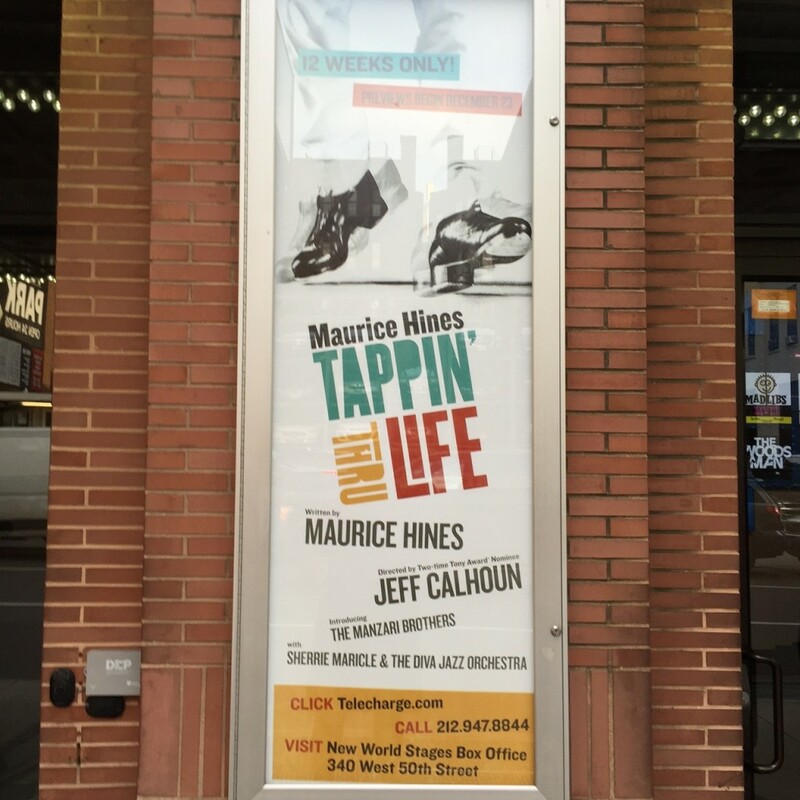 We were off to see Maurice Hines in, Tappin’ Thru Life. My grandfather exposed me to all the amazingly talented singers and dancers of his era through movies and music. My grandfather, aka Daddy Joe, had a wonderful singing voice. Give him a scotch on the rocks and he morphed into the life of the party, crooning all day long. He and my grandmother, Syd, aka the Duchess, were front and center in my thoughts. Tappin’ Thru Life is a joyous, historical journey. The show is a gift to anyone who appreciates great music and dance. I had a coupon and for $49 we sat second row center at the New World Stages and spent a truly lovely, entertaining afternoon. 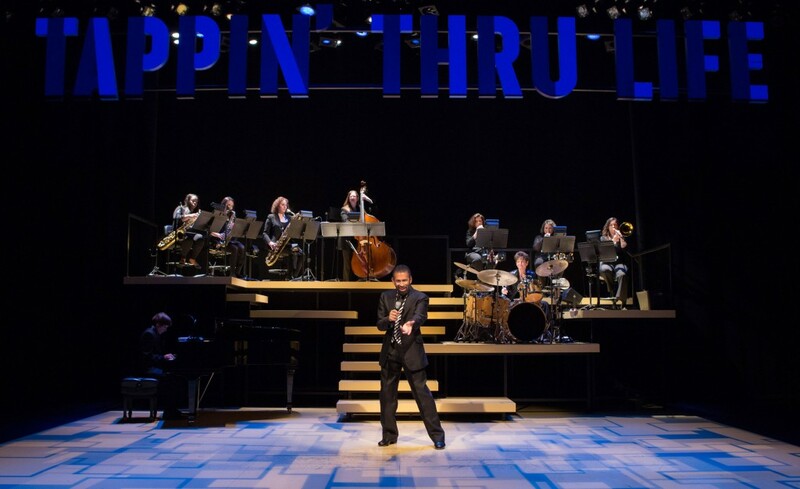 Maurice Hines is beyond charming. Decked out in stylin’ ensembles (he had 3 wardrobe changes) including a striped Amani jacket to die for, he sang and tapped his way into every audience members heart. His professional life, in tandem with his multi-talented brother, Gregory Hines, is a virtual who’s who of show business, opening for Judy Garland, Ella Fitzgerald, Lena Horn, Sammy Davis, Jr. and Frank Sinatra. The brother’s appeared 35 times on The Tonight Show with Johnny Carson. Maurice Hines wooes you with such musical numbers as, I’ve Grown Accustomed To Her Face, Never Been In Love Before and Luck Be A Lady. The Diva Jazz Orchestra, which also headlines the show, was founded in 1992 and is comprised of nine very talented female musicians. The Divas are a show unto themselves. In fact, the Divas played a good 10 minutes after Hines had departed the stage. The audience is also introduced to the Manzari Brothers, gifted, powerful tappers who add another dimension to the performance. Tappin’ Thru Life is a treasure. Thank you Duchess and Daddy Joe for turning me onto genuine and enduring musical greatness. I remember Uncle Joe singing like Al Jolson at every family function. Your grandparents were great people. I miss those days. Thanks for the lovely comment. Those were the days…tons of family, food, beverages,laughter and purple.